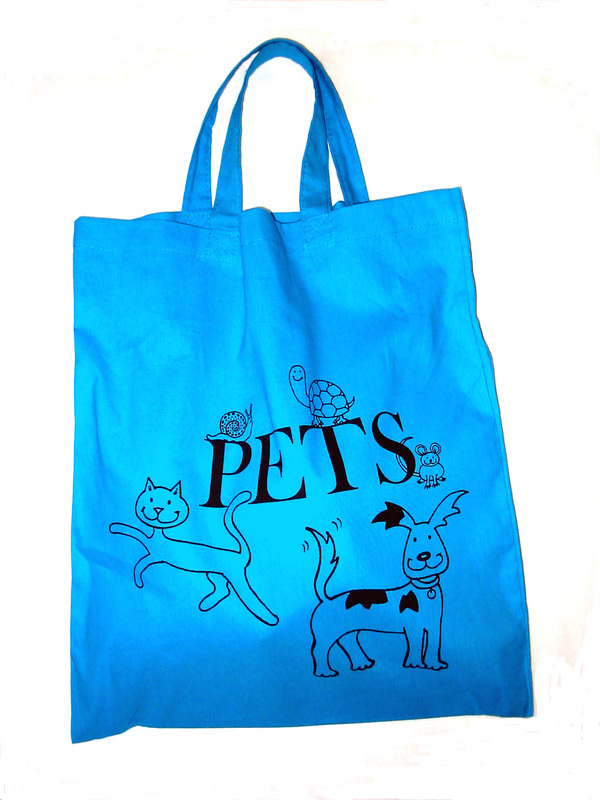 Do you have a pet? When I visit schools to read Jacob O’Reilly Wants a Pet, lots of children tell me about the animals they have at home. Some have dogs, some have cats, and some have hamsters or gerbils or guinea pigs. Lots of kids have fish. And once in a while a child will put up a hand and tell me all about a big snake or lizard they have as a pet! Eeeek! 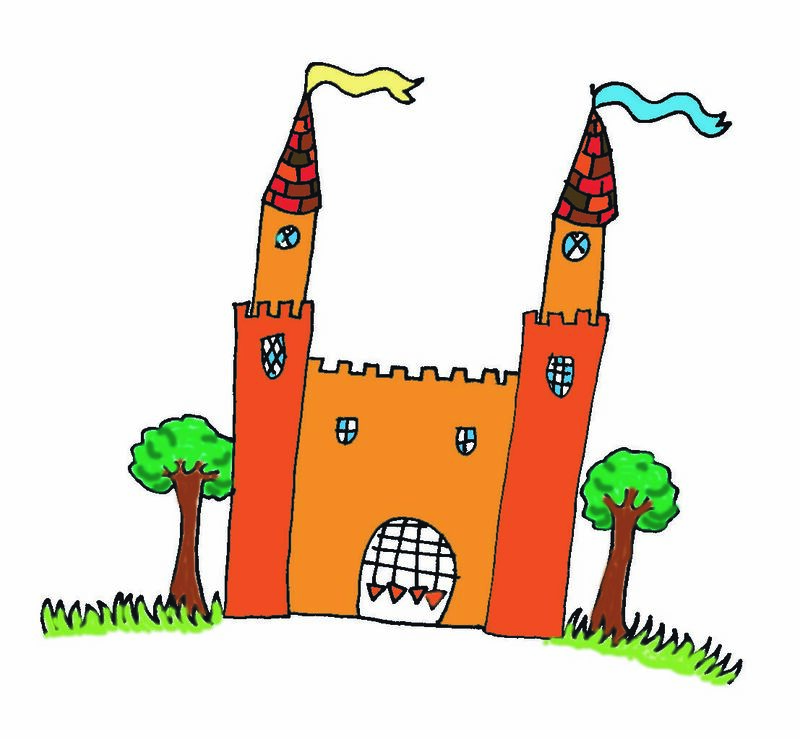 A In a giant castle with a forest all around. B In a house with a small garden. C In a cosy flat high above the ground. 2. What is your favourite thing to do? A Run around outside, whatever the weather. B Sit on the garden swing in the sunshine. 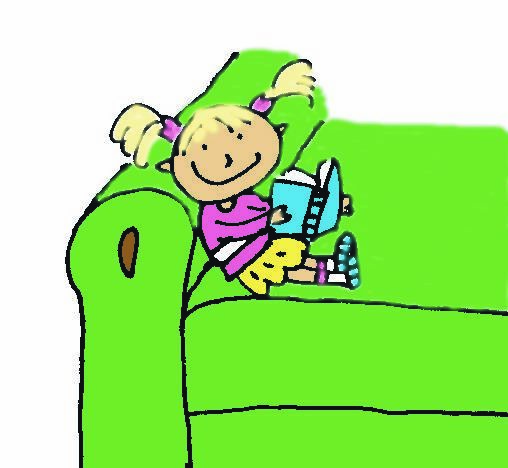 C Curl up on the sofa with a good book. 3. What is your favourite sort of animal? A Big and lively with lots of energy. B Small and cute and full of fun. C Cuddly and sweet, all snuggled in your lap. 4. What would you name your pet? A Rufus, Jasper or Duke. B Corky, Snowball or Rosie. 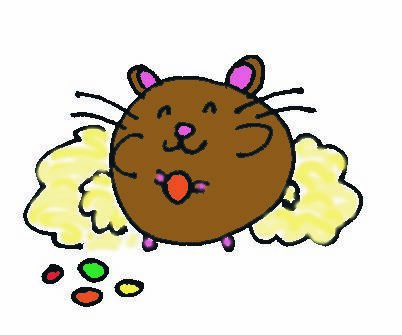 C Tiddly-wink, Munchkin or Peanut. If you answered A to most of the questions, you would make a great dog owner. The bigger your garden, the bigger your pet can be. If you live in a castle, you could even have a pet dragon! If you chose mostly B answers, you are best suited to a small dog or cat. You can have lots of fun with them, but they don’t need too much space. If you answered mostly C, you should have a small, quiet pet like an indoor cat or a hamster or guinea pig. 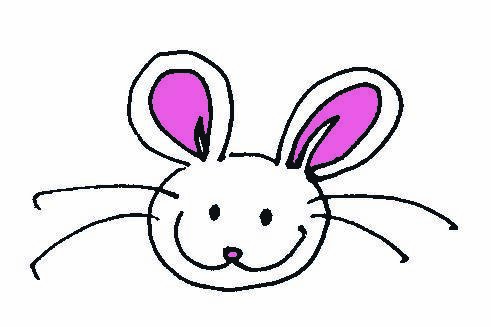 Other cuddly possibilities might be a dwarf rabbit or a pair of gerbils. You can have these pets in a small flat and it’s okay if you have no garden. Looking after an animal is a big responsibility. Unlike toys, animals have feelings and can be hurt if they’re handled roughly. They must always be treated gently and kindly. They also need food, water and exercise every day, just like you! And if they make a mess, YOU have to clean it up! So before you get a pet, think about it carefully. Then you’ll make the right choice. My daughter and I love dogs, and although we are a bit busy to actually own one, we have found a great way of borrowing them now and again! All across the UK (and in many other countries) there are rescue centres for greyhounds that once were racing dogs. We think greyhounds are lovely, elegant animals, and despite their size they are very gentle and affectionate. The nearest greyhound rescue centre for us is the Greyhound Awareness League, or GAL. Every month they get together for a greyhound walk in a big park, and anyone can come along to join in. 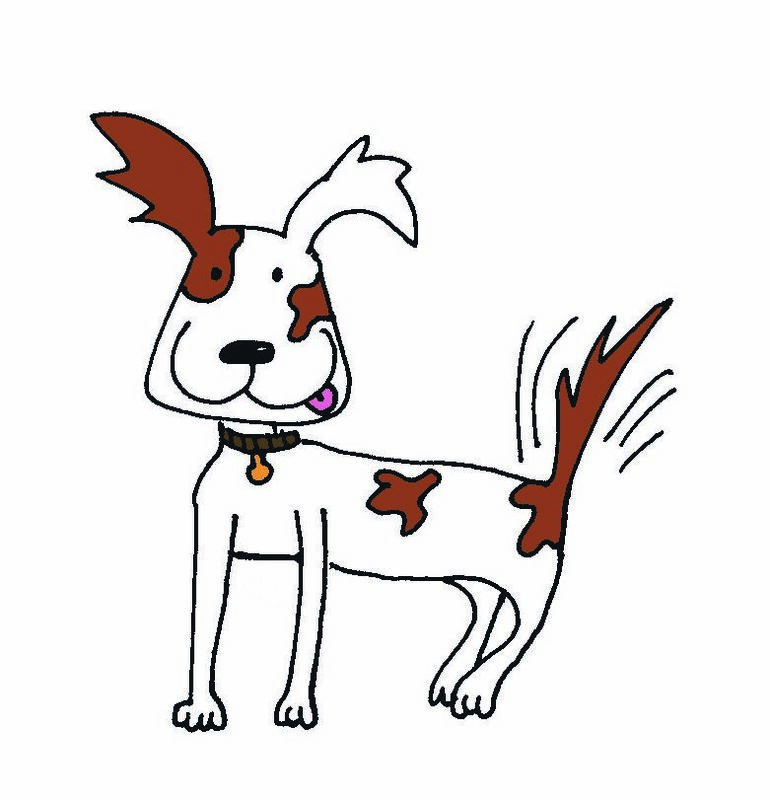 There are lots of dogs because many owners have three or four! They also bring all the greyhounds who are looking for homes, so there are always extra dogs if you want to take one for a walk. Many people think greyhounds need tons of exercise and are always on the move. In fact, they like nothing better than to stretch out upside-down on a comfy sofa and sleep all day! When they are racing, they run super-fast for a few minutes, but then they rest for several days before the next race. 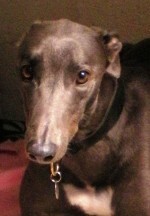 They are kept in kennels with hard floors between races, and rarely get a friendly pat or kind word from their owners. Once racing greyhounds reach the age of four, they become too old to race, and this is why there are so many needing homes. The ones in rescue centres are lucky, as many more are just abandoned or killed. At the moment there are six greyhounds waiting for homes at GAL, and so many more all across the country. This is Zola, who is four years old and full of life. If you want to find out more, just click on his name. 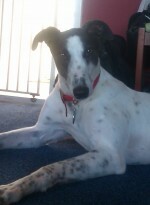 Boyd is a male greyhound who is very easy-going. His tail is always wagging! Click on his name to find out more about him. Zak is a handsome blue boy with a white blaze on his chest. He is five years old and a little bit shy. Doesn’t his fur look silky and soft? Click on his name to find out more about him. There is lots of information about greyhounds on the internet. It’s very important to find out as much as you can about them if you are interested in fostering or adopting one. If you live in the UK or Europe, here is a good source of information: Greyhound Rescue Groups in the UK. If you live in the US or Canada, there are lots of greyhound rescue centres there too. Here is an Adopt-a-Greyhound site that will tell you all about greyhounds and the nearest rescue centre where you can see some. If like us you can’t adopt a dog, you can still join in with walks and give support in other ways! 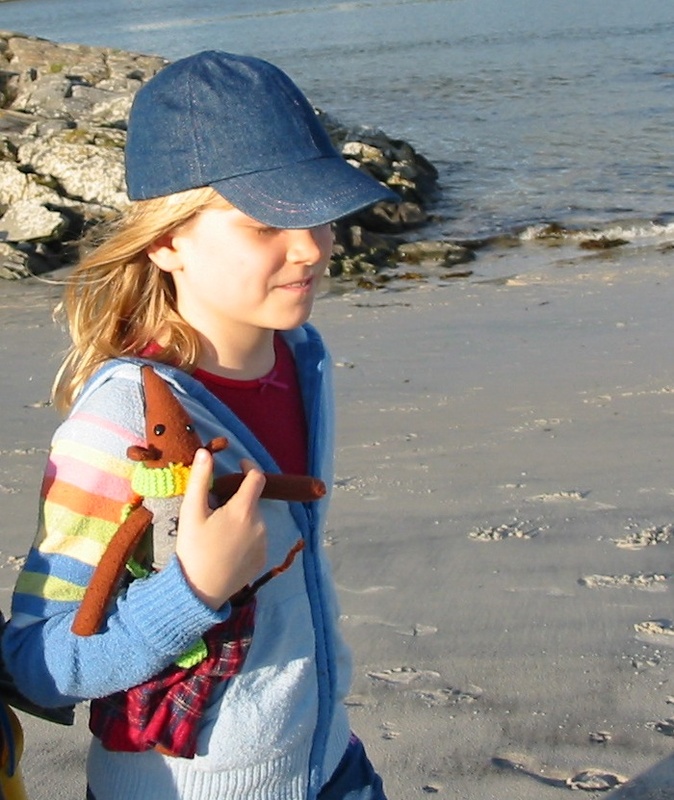 When my daughter was younger I made her a little brown rat with a pointy nose, shiny black eyes and a long tail. 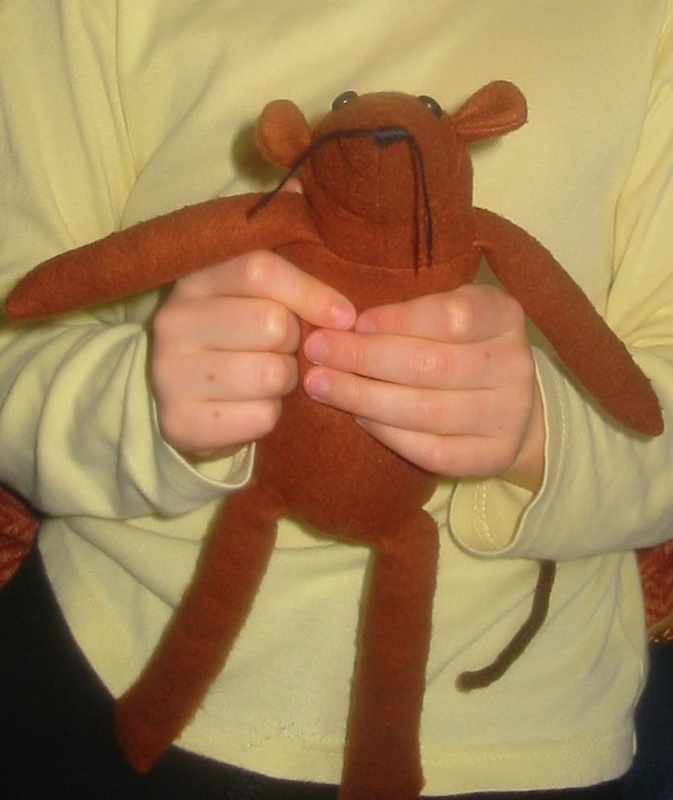 He was based on one of our favourite book characters, That Pesky Rat by Lauren Child. If you look at the cover of That Pesky Rat, you will see that our rat looks very much like him! That was back when his tail was made from a brown pipe-cleaner. It was soon broken, so later I made him a proper cloth tail. We had lots of fun with Pablo, making him clothes from socks and scraps of fabric. One Christmas I even made him a Santa suit! But he seemed a bit lonely, so I decided to make another soft toy to keep him company. 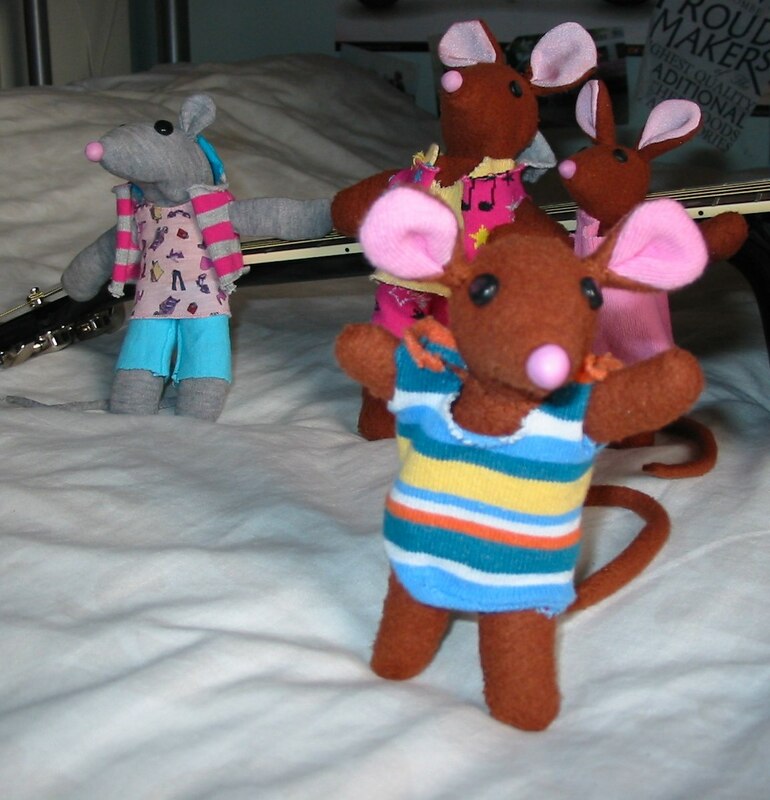 The next one was a grey mouse called Paula, and then came Poppy, Pippa and Pierre. Each time I made a new mouse I got better at it, and I changed things here and there, so every mouse is different. Anna’s friends liked her mice so much that I made a few extra ones for birthday presents. 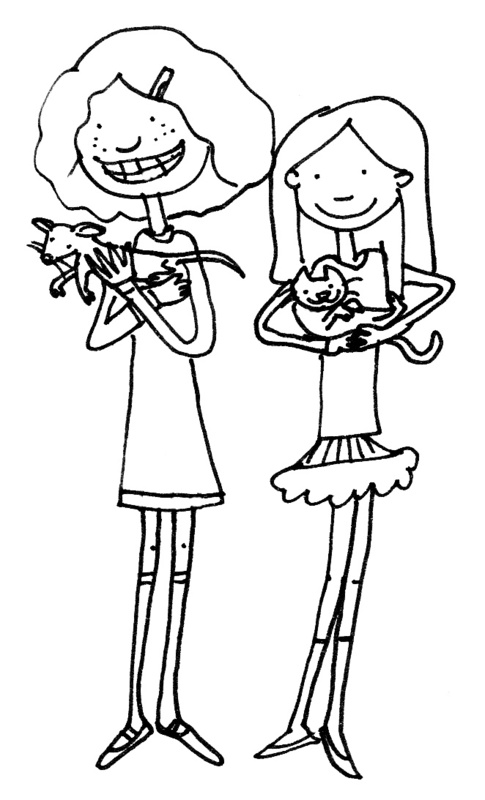 Eventually I think we had ten or twelve mice, and Anna ran out of names beginning with P! As I ran out of fabric, the mice got smaller and smaller. Here are a few of Anna’s mouse children. 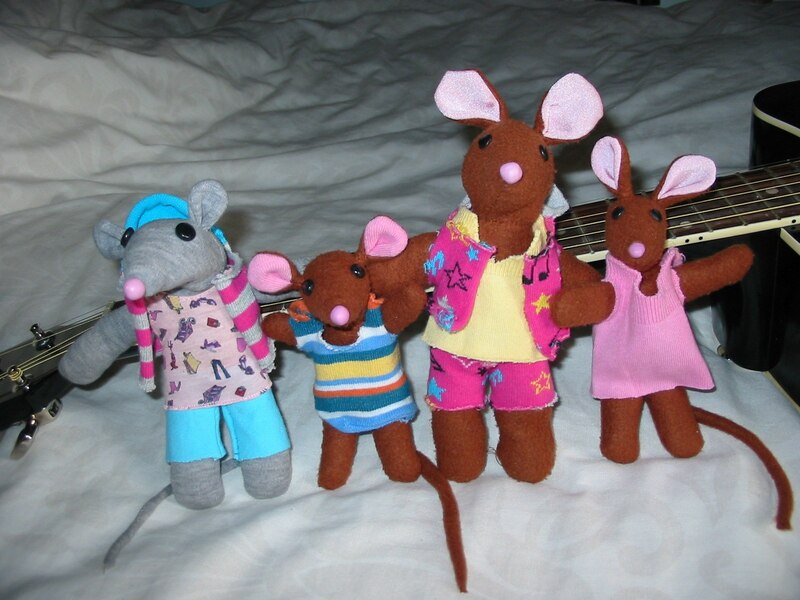 Pippa is on the left, and she is one of the few grey mice. (I had a lot more of the brown fabric!) The next one is my favourite of all the mice. His name is Findlay and he is the smallest one (and the cutest!) Isn’t he adorable in his stripy jumpsuit? Pablo’s house started out as a little bed in a drawer, but as his family expanded, he took over the whole of Anna’s wardrobe! Soon it was full of doll’s furniture, tiny posters on the walls and little beds made of shoeboxes. When I first wrote Pink! I got a letter from a lady who told me she took my book into her daughter’s classroom and read it to the children. Her daughter has special needs, and Pink! is all about being different, so it was a great way to talk to the other children about how we’re all different but we have lots in common too. 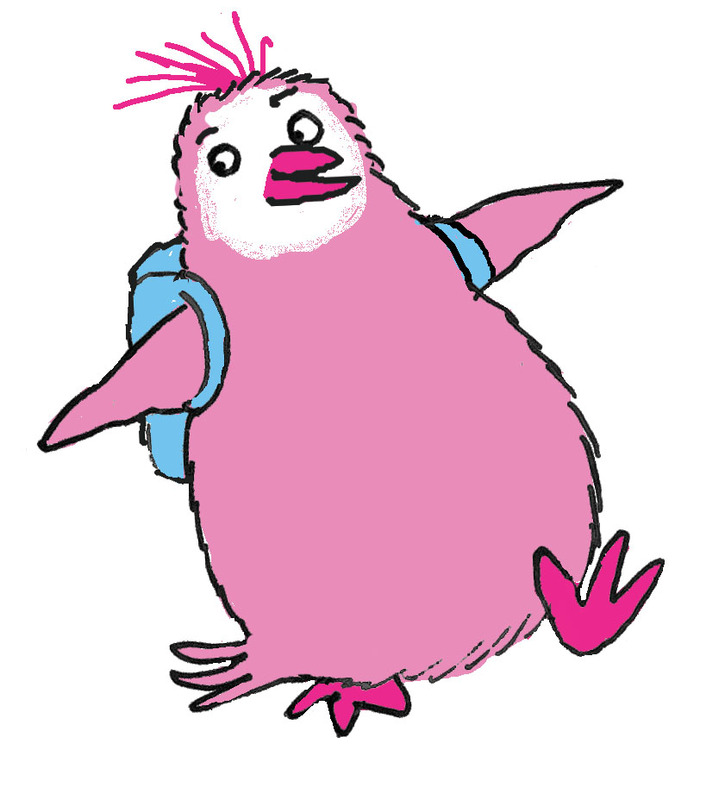 That lady, whose name was Beverley, gave me the idea that teachers could use Pink! in the classroom. I decided to put together a collection of books, toys and activities that teachers could use to get kids thinking about how it feels to be different. 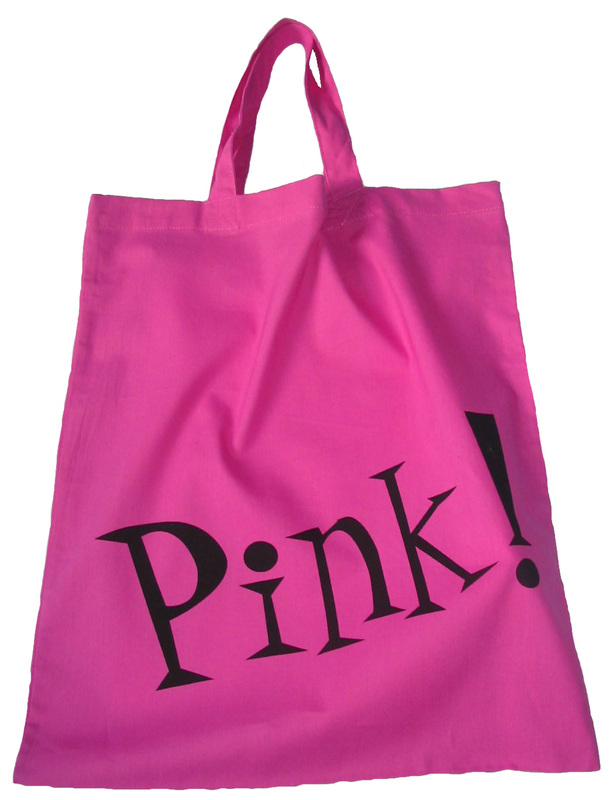 And that is how the pink bag was born! When my next book came out, I decided to make a book bag for it too. It was called Jacob O’Reilly Wants a Pet, and for the blue bag I put in lots of fun activities (like a quiz, a word search and a drawing game) and instructions on making your own snail hotel! 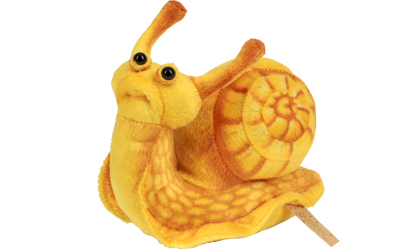 I even found the perfect soft toy snail to include. He looks just like the one in the book but he’s a lot less slimy! My latest book, I Do Not Eat the Colour Green, is about a very fussy eater called Marlene. Naturally, I chose bright green for this book bag. Inside I’ve put more fun activities like a matching game and a fruit-and-vegetable word search. It also comes with a big cookbook full of great recipes for kids. 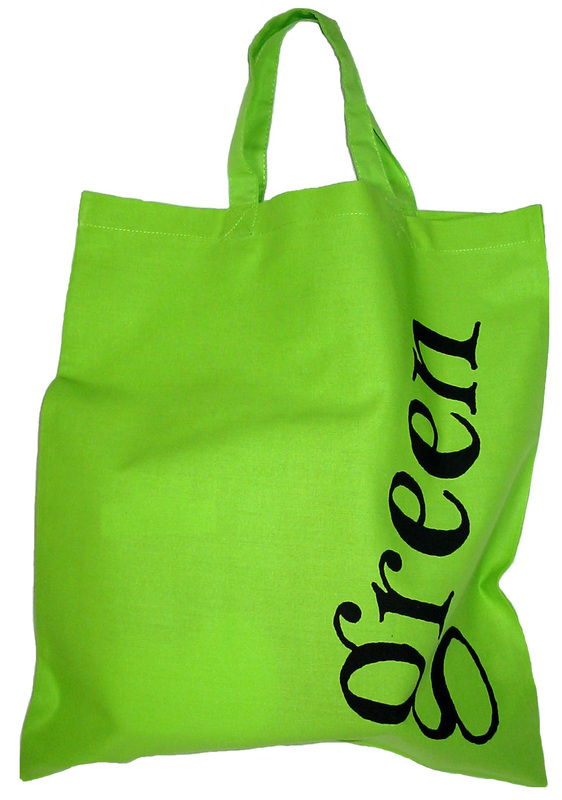 The green bag is all about how important it is to eat well and take care of yourself so you can grow up big and strong. 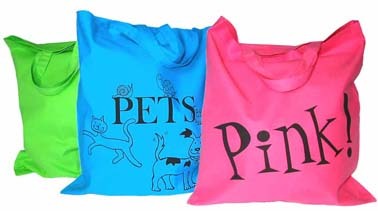 If you want to find out more about these three books and their colourful bags, just visit my website HERE. I think when my new puffin book Lewis Clowns Around comes out in September I’ll make a new bag full of information about seabirds and the circus! 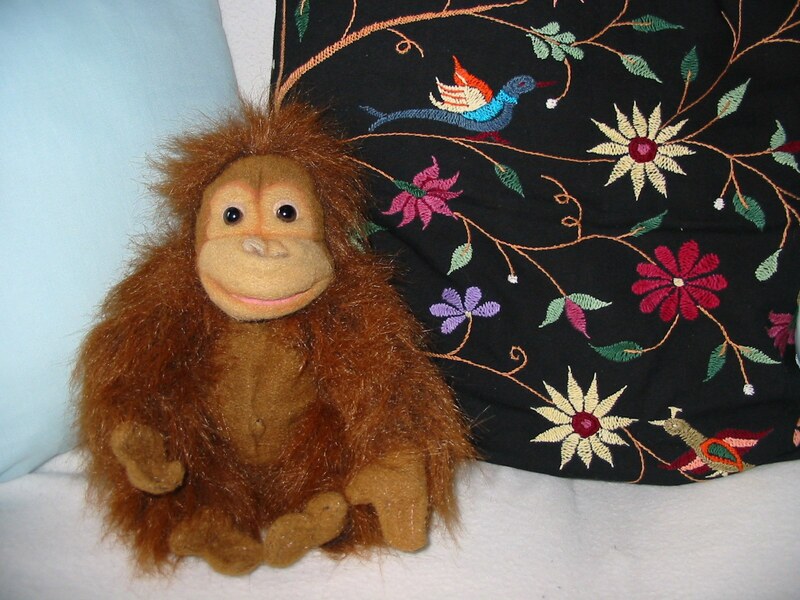 One of my favourite toys (well, my children’s toys) is a baby orangutan that Anna calls Gerome. Here he is sitting on the sofa with a lovely jungle pillow. Isn’t he cute? I think Gerome likes this pillow because it reminds him of home. Orangutans live in the rainforests of two islands in South East Asia – Borneo and Sumatra. The name orangutan comes from the Malay language, and it means “man of the forest” (orang=man and hutan=forest). The scientific name for them is Pongo pygmaeus. Perhaps we should have called Gerome Pongo instead! Orangutans have long, strong arms that are good for swinging from branch to branch, and they live and sleep up high in the trees to stay safe from other animals that might eat them, like leopards, tigers and big python snakes. They get quite big, around five feet tall, and weigh between 65 pounds (a small adult female) and 200 pounds (a big adult male). In the wild they live to be about 35 years old, and in a zoo they can get as old as 50 or more. Orangutans like to eat fruit (berries and wild figs) as well as leaves, insects and birds’ eggs. They find all these things in the trees and hardly ever have to come down to the forest floor. The fur of an orangutan is long, shaggy and reddish-brown – quite like a Highland cow! I think their fur is much thinner than the cow’s, though, because unlike the Highlands it’s very hot where they live. Female orangutans have a baby only once every 8 years or so, and the baby stays hanging onto its mum for the first year of its life. Over the next few years the young ones stay close to mum, until they are ready to strike out on their own at the age of 11 or 12. Little orangutans like to play together, but when they grow up they are quite solitary animals. When a group of them are feeding in the same area, the young ones play but the adults ignore each other. Sometimes the males will fight over territory, but mostly they just live alone in the forest. Did you know that orangutans are an endangered species? That means there are fewer and fewer of them in the wild, and one day they could disappear altogether! Lots of people care about orangutans and want to save them. There are organisations all over the world that look after them and raise money to help them. One group I found is called the Sumatran Orangutan Society, and their website has lots of information about orangutans. They have a great list of ideas for kids who want to raise money for orangutan protection. HERE is their list of fun activities you can do to help orangutans and get people thinking about them. My friend (and very talented illustrator) Hannah Shaw has told me she sponsored an orangutan from the Orangutan Appeal. Their website has lots of brilliant pictures of orangutans and more information about how you can help.